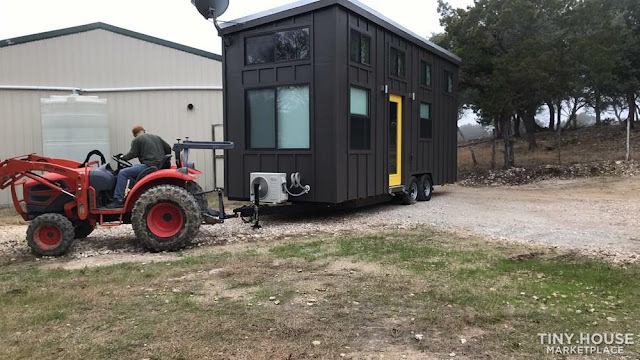 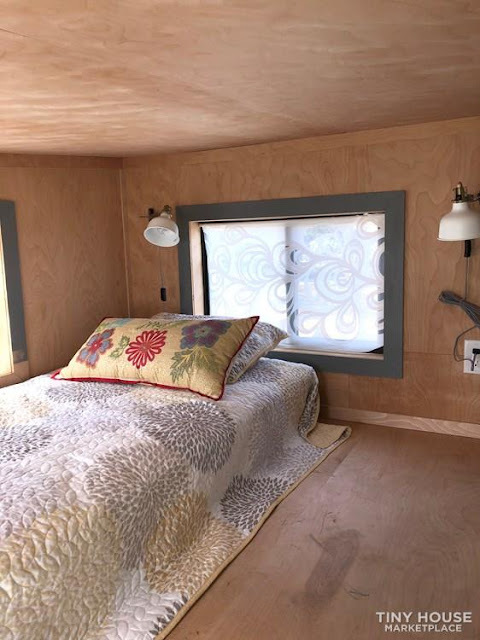 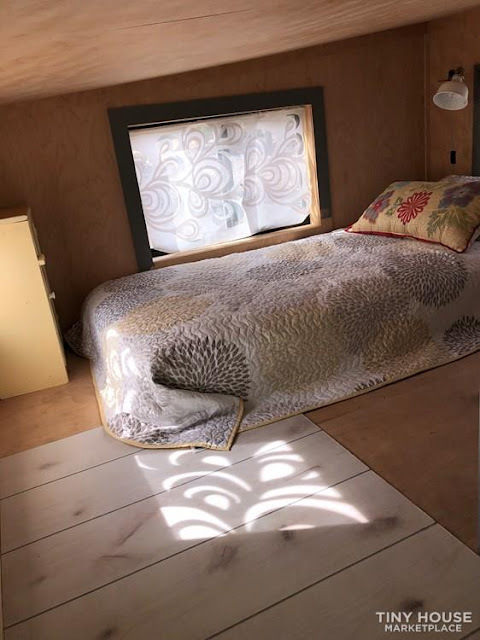 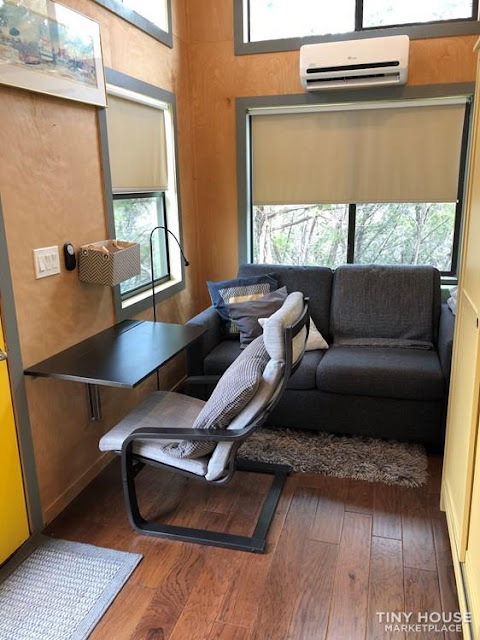 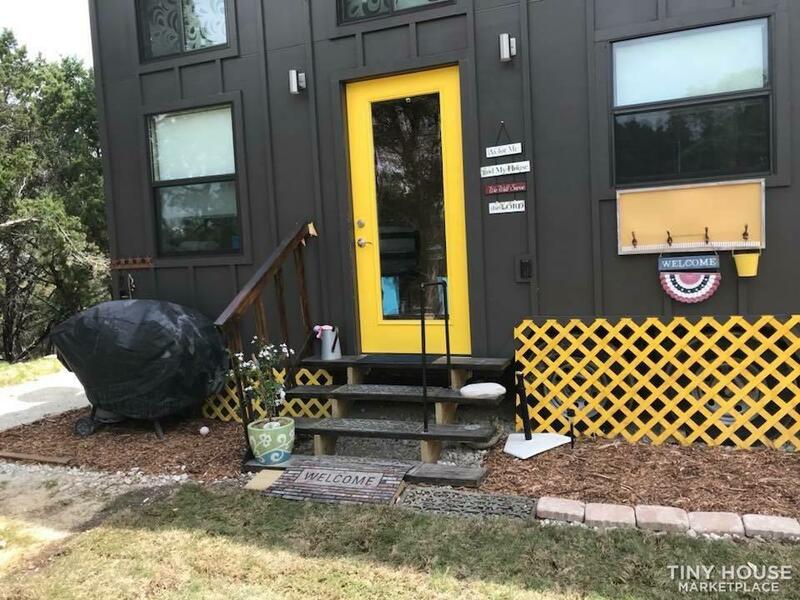 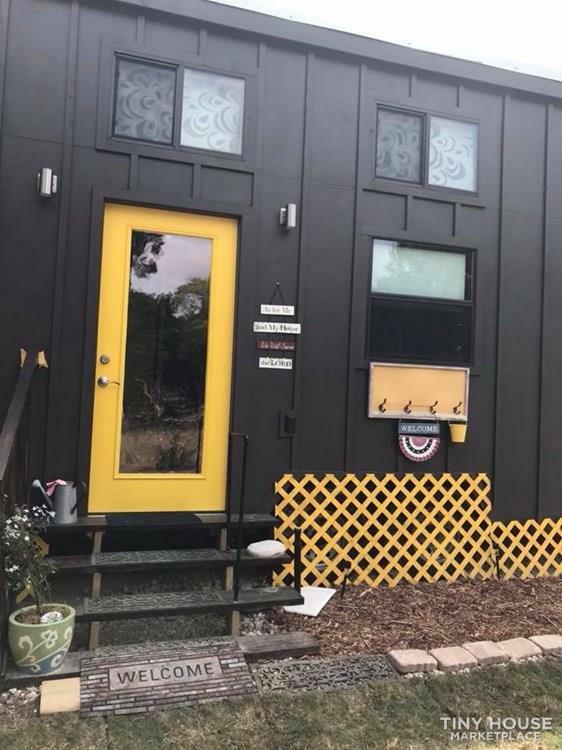 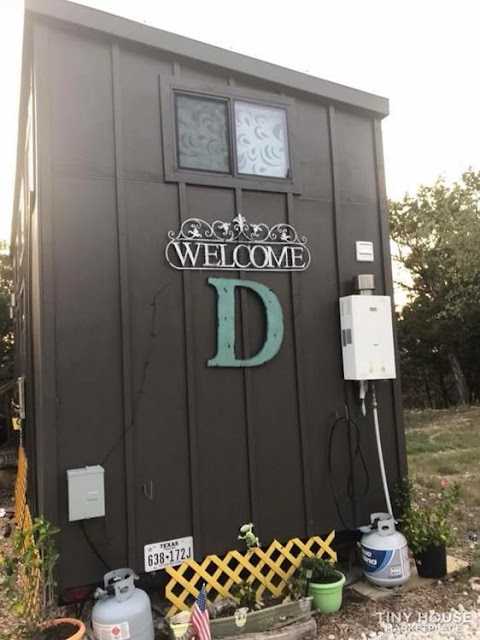 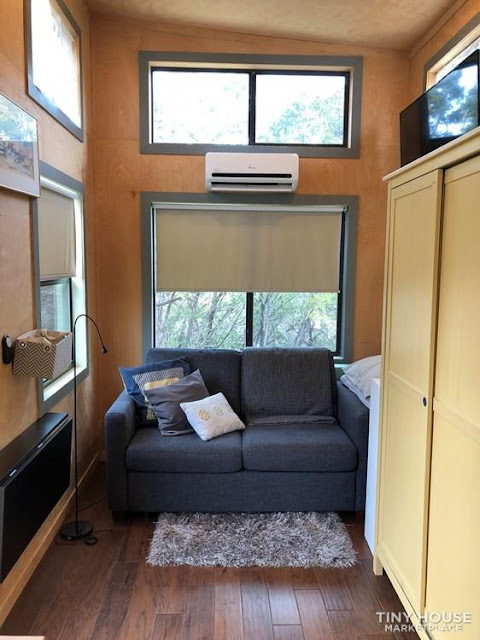 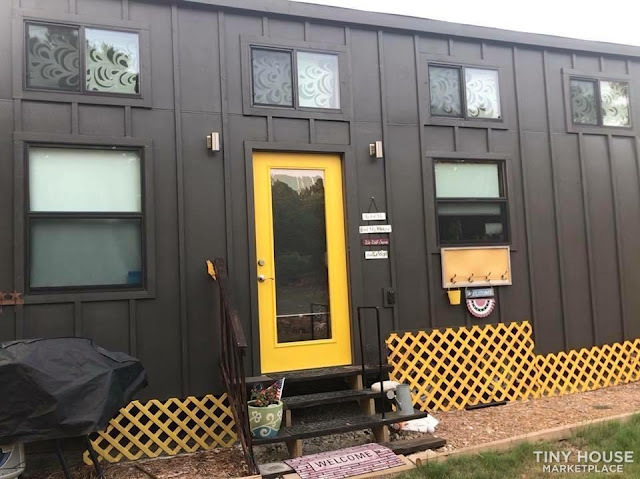 This tiny house was built in 2016 and has since undergone several upgrades. Now available for sale, this would be a fantastic home, ADU, and/or guesthouse! 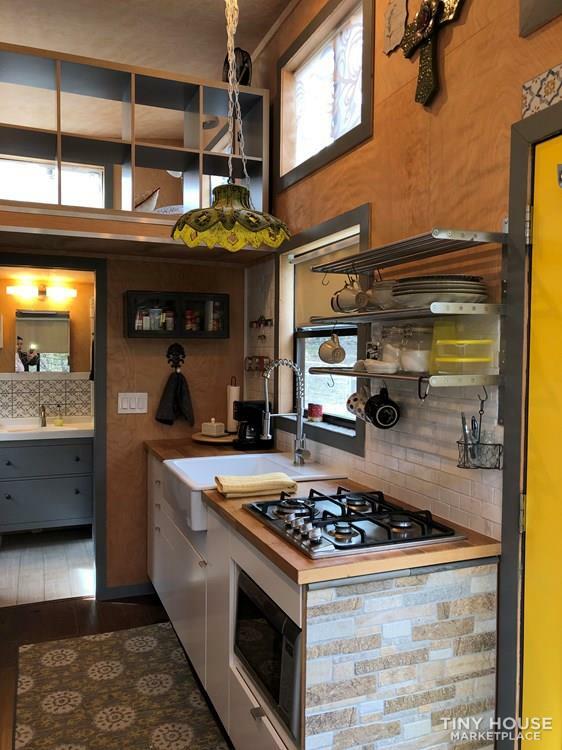 A cozy galley kitchen has everything for prepping meals There’s a full-size refrigerator, a four-burner gas stove, a microwave, and a sizeable farmhouse wink with a stainless steel faucet. 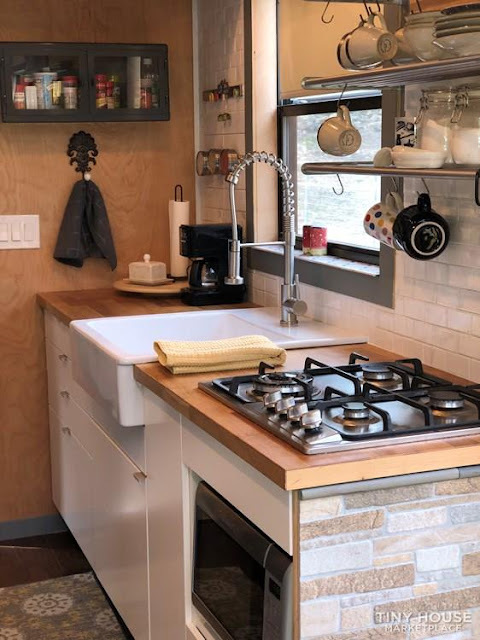 A tiled backsplash and faux brick accent wall under the stove add a nice design touch. 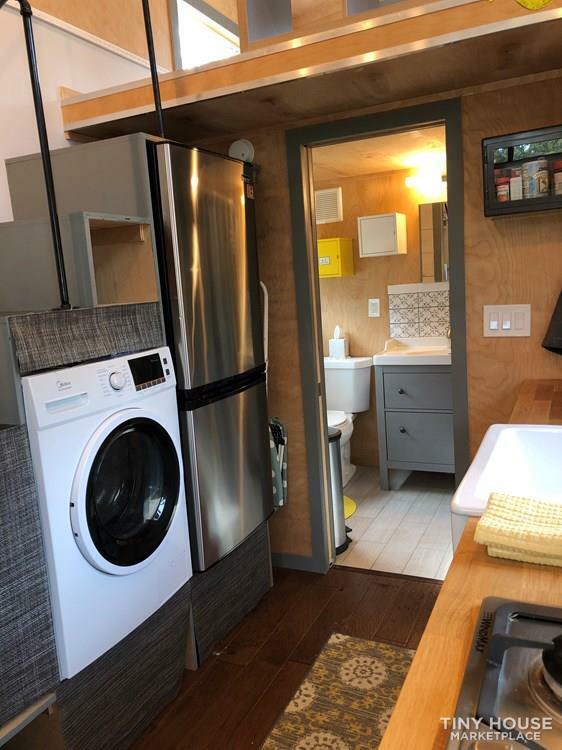 There’s even a washer/dryer combination to do laundry right from inside the home. 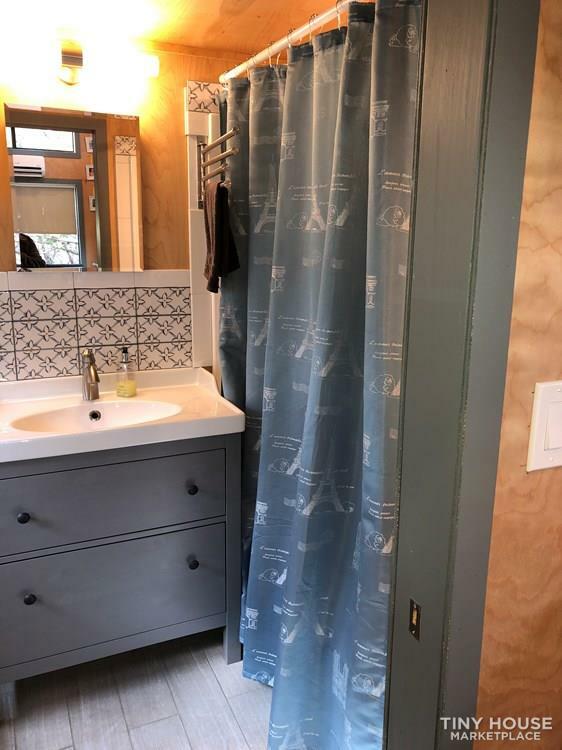 Next to the kitchen it the bathroom which features a rare tub in addition to a shower, sink and vanity, and a standard flush toilet! 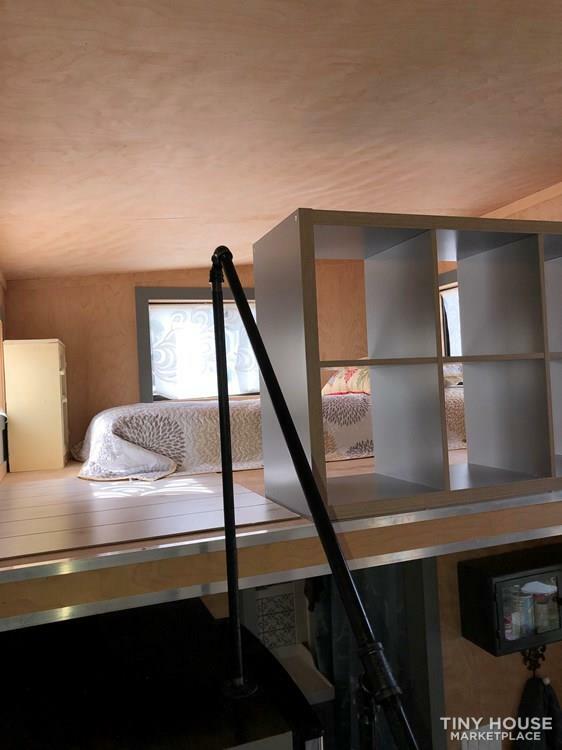 Upstairs, via ladder, is the master bedroom. It includes a brand new twin-size mattress and comes with storage shelves for personal belongings.